Hey everyone! Today is Thursday, so it is tool review day. Today I have the most used tool in my box. 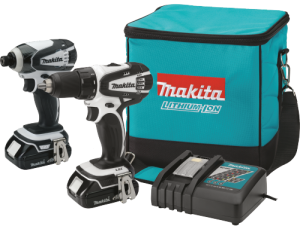 The Makita impact driver, and drill combo CT200RW. I have owned 4 of the impacts, and 2 drills. So I am a big fan of this tool. The price point is from $179-$199. One quick thing, I did a little “fixing” of the audio in this show. Let me know what you guys think. Shout out to Jason from Engineering Explained for recommending it. Thanks for watching! What is the most used tool in your tool box? 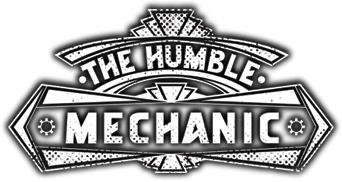 If there is a tool you would like me to review, please use the contact me form, or shoot me an email to Charles(At)Humblemechanic(dot)com. What no Amazon link? I have to find it myself? Seriously though, the Makita cordless drill I had was great, until the batteries finally died. Cost more to replace them than to get a new drill. My most used tool is probably my cordless drill, or maybe a hammer, but that wouldn’t make a very exciting review. I can honestly say I’ve never seen a more loved (worn) tool than that impact driver!!! That’s awesome! I also have the same Makita drill/driver set and I absolutely love it. I got a set for my Dad for Christmas last year to replace his old NiCad(old!!!) set that he was still hanging on to. He hasn’t looked back. wow! I’ve never seen kind like this tool kit. Extraordinary tool kit. Inside one more qualities. Its always great to find good honest practical content. Thank you so much.